Transportation Costs > How Much Does a Dump Truck Rental Cost? 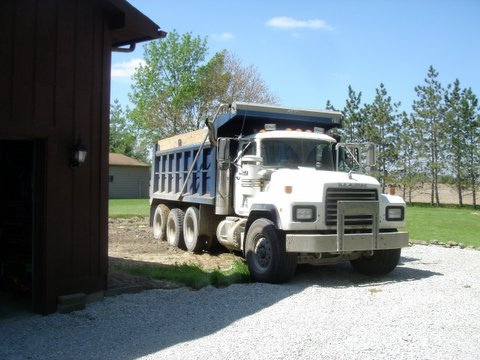 How Much Does a Dump Truck Rental Cost? Whether it’s transporting dirt or debris from one location to the next, a dump truck may be necessary for the job. Instead of spending top dollar to purchase one, when it doesn’t make sense, many opt to rent one for a few days. The cost of renting a dump truck will depend on the size of the dump truck, where you live, the company and time you need it. On average, be prepared to spend $300 to $800 per day or about $1,000 to $2,300 for the week. Hourly rates, from the rental companies that offered, charged about the same amount as the daily rate. Also, a deposit, before you can even rent the dump truck, will apply. Depending on the rental company, this can range anywhere from $100 to $750. This fee, once the truck is returned, will be refunded or applied to your total. United Rentals, on its official website, quoted a 10 to 14-yard dump truck for $711 per day or $2,188 for the week. Hertz Rentals offers close to 15 dump truck models, with prices ranging from as little as $350 per day to as much as $1,350 per day. RentalYard.com features close to 150 ads from rental companies throughout the United States. Glancing at the ads, a tri axle Sterling A9500 rents for $2,520, whereas a Freightliner with 425 horsepower and tandem axles could cost upwards of $6,000 per month. A single axle with 109,000 miles could rent for as little as $200 per day. A mileage surcharge may apply on top of the estimates noted above. While some rental companies may include a certain amount of miles, some may charge $0.30 to $0.75 per mile driven. Be sure to look for a breakdown of fees to understand what you will be responsible for. If you needed an operator for the dump truck while renting, this could be an additional $50 to $75 per hour, depending on the local rates. Don’t confuse renting vs leasing. Renting a dump truck, just as you would with a rental car, allows you to drop the dump truck off when you’re done using it. Once dropped off, the payments stop. As for leasing, it’s just like a car lease; however, you will need to commit to a certain period of time, whether it’s two, three or four+ years. When you lease a dump truck, you will sign a contract, forcing you to pay the payments regardless if you need it or not. When the lease is up, you can either turn it in or even buy it for an undetermined amount. As with most rentals, the longer you rent, the more you can save. If you know you needed the dump truck for longer than 48 hours, then it may make sense to rent for the week. A weekly rental can cut the daily rate by more than half.